Malta has rapidly acquired a reputation for excellence in teaching English as a foreign language. Clubclass has helped form this coveted status by providing a highly immersive educational system that gives rapid and lasting results – the residential language school. 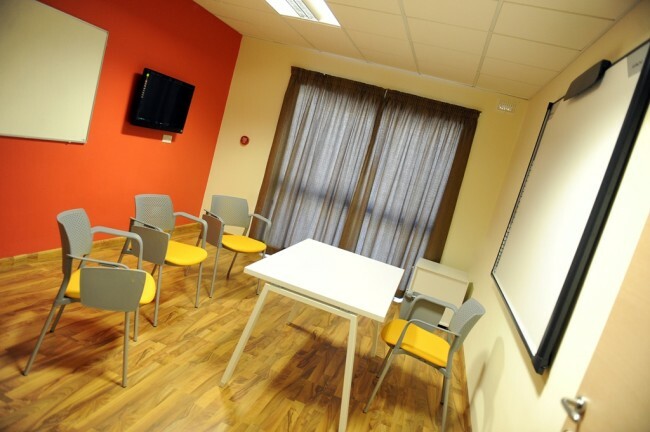 Clubclass is the only residential English language school in Malta where the school is situated WITHIN the same building as the Accommodation, Indoor and Outdoor Pools, Fitness Centre, Aerobics Studio, Games Room, Internet Cafe, Launderette, Pizzeria, Pub, Restaurant & more. A programme where students live and learn at their teacher’s home; students will have 20 lessons (15 hours) per week of private tuition designed to match their specific needs. A programme where students live and learn at their teacher’s home; students will have 30 lessons (22½ hours) per week of private tuition. This is an intensive course which is 100% focused on individual English language requirements and designed to match their specific needs. 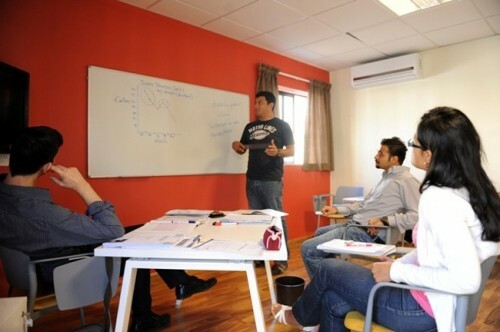 This flexible course combines Business English lessons in a group with person to person lessons. Participants will improve their overall knowledge of Business English during the group classes and focus on their particular needs in the individual classes. This combination course helps participants accelerate their progress in Business English. The Junior School and Teen School all-inclusive programmes for Individuals and Groups combine exciting social activities with 15 hours of General English learning per week. Students are exposed to all aspects of the language and gain heaps of confidence when speaking and listening. Needless to say, part of the fun is making new friends from all over the world! The ClubClass Host Family Programme offers students aged 14 to 16 from all over the world the opportunity to improve their English language skills whilst enjoying a varied and exciting activity program in a safe and relaxed environment. Students will be accommodated with host families in order to experience the Maltese way of life and practice their English in an informal environment. This Parent & Child programme is for parents who want to travel with their children. Parents may follow an adult course, while their children are placed in a junior course where new language – vocabulary, everyday English, idioms and grammar – is introduced and practised to encourage real communication and rapid learning. Clubclass Residential Language School is highly experienced in dealing with closed groups. Programmes for closed groups are all tailored to the ages of the groups and combine English lessons with a social and entertainment programme. The Clubclass Work and Learn programme is aimed at students who would like to improve their career prospects by gaining practical work experience in an English-speaking country. The applicant will have a golden opportunity to gain international professional experience according to the individual’s course of study, training requirements and career aspirations. This can be complemented by an English language course and accommodation package, with several options available to suit everybody’s needs and budget. Many high-level professionals are now being asked to make presentations in English. Often they may have an excellent command of English but lack the confidence to speak in front of an audience. English for Professional Business Presentations is a course that is aimed at people seeking to improve their ability to present clearly and effectively in English. This course will provide the tools necessary to develop the language and presentation skills needed to express ideas, as well as techniques for the effective structuring of speech. Using state of the art technology, whereby lessons are recorded and reviewed with a private business teacher, professionals are given all the confidence they need to give presentations in English. The courses offered at the two Clubclass schools, located in Malta and in London, are structured in such a way that students are able to commence their studies in one centre and complete them in the other. The Directors of Studies of the two schools liaise in order to ensure that students transfer from one centre to the other in a smooth and seamless manner. This was my 1st school of English. And Yes! it’s good school, really good school. Liked very much, and especially its teachers. They’re very nice people and became my friends for this little time.